Handsome Tours is excited to announce the addition of three very special dates to Billy Bragg’s Australian tour this December. 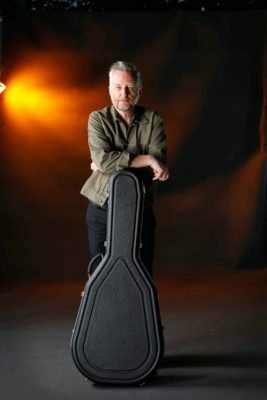 Alongside highly-anticipated appearances at Meredith Music FestivalandFairgrounds Festival, Billy Bragg will stage a trio of intimate solo shows in the Victorian countryside. These strictly-limited, utterly-unmissable evenings in Meeniyan and Castlemaine – each a scenic two-hour drive from Melbourne – will constitute his only Australian headline performances for 2018. As well as Bragg covering 35 years of his most beloved works, the dates will see the legendary U.K firebrand unite with some of the finest young songwriters in Australia today. Billy Bragg will perform at Meeniyan Town Hallon Tuesday 4thDecemberand Wednesday 5thDecember. He will be joined on these dates by very special guest Jen Cloher; the acclaimed Melbourne songwriter whose self-titled 2017 album scored a perfect five stars in The Guardian and earned her the mantle of “Australian Artist Of The Year” from double j.
Don’t miss the orator, entertainer, rabble-rouser, negotiator, pamphleteer, the fabled ‘big-nosed bard from Barking’, Billy Bragg, across three extraordinary evenings in Meeniyan and Castlemaine. Tickets all one price: $80 (includes all bkg fees and GST).